Cornwall, UK – 14th August 2014: Dutch hospital group, CuraMare selected Electronic Service’s ‘Kingfisher’ solution, based on Packet Ship’s ‘Guideline‘ product, to install a full Patient Entertainment Service in their Van Weel-Bethesda Hospital. It includes features such as live children’s TV channels, Video-on-Demand, radio channels on-demand, real-time weather information, internet services and more. “Working with Electronic Service on this project was an exciting opportunity for us to implement our technology in the medical sector. An Entertainment Service like this will change the patient experience, making it much more enjoyable.” said Paul Clark, CEO of Packet Ship. CuraMare is a care group with seven hospitals currently across the Netherlands, with a passion for quality and total patient care and satisfaction. 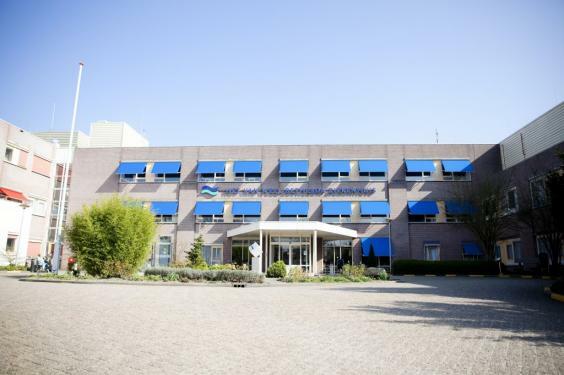 One of the latest additions to the group is theVan Weel-Bethesda hospital, situated in Dirksland outside Rotterdam. With excellent customer service as top priority, the hospital will certainly benefit from the new Entertainment service and all its features.